The most plentiful steroid hormone in your body, secreted by your adrenal glands, is Dehydroepiandrosterone (DHEA). In your peripheral tissues DHEA converts to other hormones including testosterone and estrogen. When DHEA is deficient, it can result in a lot of problems. 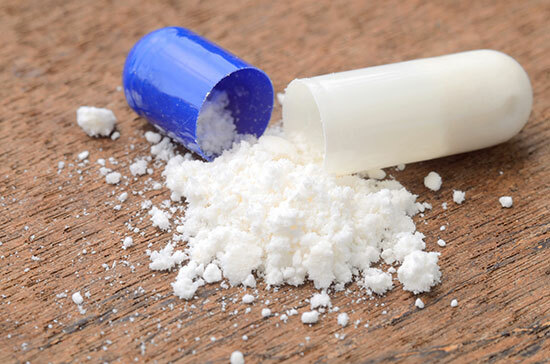 For example, I often see low levels of DHEA among patients with thyroid conditions. 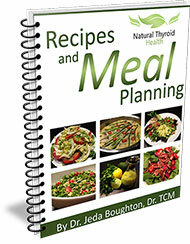 Many people with thyroid conditions also suffer with blood sugar imbalances. A study that observed the role of DHEA on insulin sensitivity among hypoadrenal women, observed that 50mg of DHEA, for about three months, substantially enhanced insulin sensitivity. This implied that taking DHEA can help prevent type 2 diabetes . DHEA regulates the immune system and decreases inflammatory proteins  and oxidative stress can lower DHEA synthesis . Inflammation impacts the health of those suffering from Hashimoto’s Thyroiditis, Graves’ Disease and other autoimmune conditions. Therefore, a shortage of DHEA may contribute to the onset of these diseases. For many of my patients with adrenal fatigue, I suggest adrenal function testing to assess levels of DHEA and cortisol. Patients with both hyper and hypothyroid conditions often have depressed levels of DHEA. Your immune system can be compromised if your DHEA levels are depressed, allowing someone who is genetically predisposed to Hashimoto’s Thyroiditis or Graves’ Disease an increased chance of developing the condition. Most doctors test for DHEA in the blood. This is one way of analyzing DHEA, but most serum DHEA is protein bound. Saliva tests, on the other hand, measure the free form of DHEA representing only that which is actively delivered to receptors in your body. You can measure low levels of DHEA of the “free” form, and at the same time manifest normal levels of the “bound” form. This explains why your DHEA can test normal in the blood, yet low on a saliva test. Low levels of DHEA on a saliva test may be a reason to take DHEA supplementation for a short period of time. However, it is best not to take hormone replacement such as DHEA, without the guidance of a qualified healthcare professional. Most patients will tolerate small amounts of DHEA, though, this doesn’t address the cause for the low DHEA. Chronic stress is a major factor that can result in compromised adrenal glands resulting in low DHEA. Cholesterol is the precursor to all steroid hormones. This means that inadequate levels of cholesterol will negatively impact the creation of hormones such as estrogen, progesterone, cortisol and DHEA. You can improve your DHEA levels naturally by supporting your adrenals. Taking vitamins and supplements such as vitamin B, C and licorice, managing stress and eating well will support your endocrine system. Tribulus has also been used to boost DHEA levels in postmenopausal women. Many who suffer from thyroid conditions also have low levels of DHEA. Though a deficiency can be corrected when taking adrenal supplements or DHEA, your primary aim should be to treat the cause.